The FHA 203k loan was created in 1973 as a way for home buyers to affordably purchase and renovate older homes using certified FHA 203k contractors. You can also refinance your existing mortgage or home into a 203k loan. Because it allows for improvements and repairs with very little additional out-of-pocket costs, the FHA 203k loan is a great option for fixer-uppers or older houses. It is particularly helpful with large-scale projects that might otherwise be unaffordable, such as kitchen and bath renovation, expansive foundation or plumbing repairs, and anything else that is vital to the home’s structure and livability. To qualify, a borrower must meet minimum credit requirements and plan to occupy the purchased home as their primary residence. Once approved, qualifying home buyers are then able to purchase their homes and fund their renovations with a low down payment of 3.5% on a tax-deductible mortgage. Almost all 203k renovations must be completed by certified FHA 203k contractors, who are paid from the loan in installments as the work is completed. What is a certified FHA 203k contractor? Do I need one? 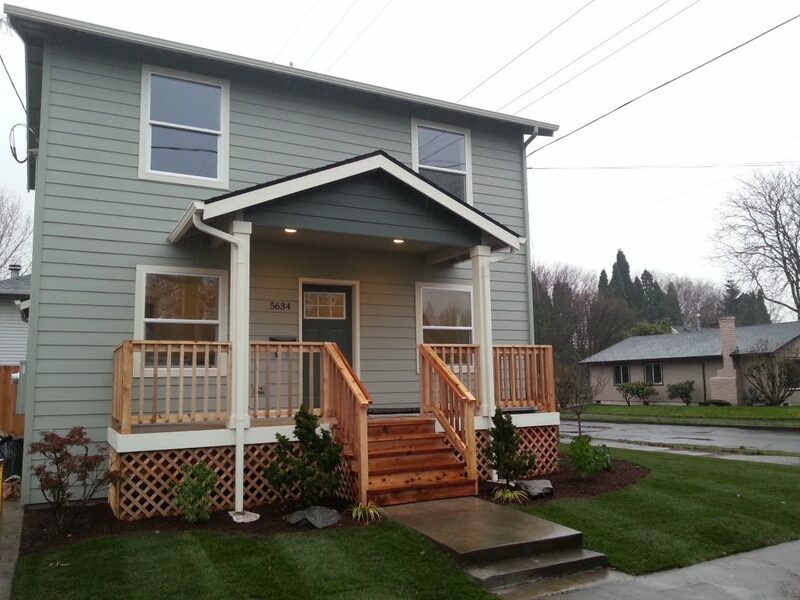 RMH Bartels are certified FHA 203k contractors in Portland. But what does that mean? Contractors who are certified in the 203k Contractor Certification Program understand how to navigate the sometimes complex paperwork, guidelines, timing and structures of the 203k process for renovations or rebuilding. This program educates contractors who work with 203k loans to ensure that they exceed all FHA lender underwriting guidelines and can be trusted by consumers, lenders, and realtors alike. The certification process also reviews customer references and verifies 203k loan contractors’ business qualifications. Unless the person applying for a 203k loan is themselves a licensed contractor and is applying to do minor work themselves, all 203k loans require detailed plans from certified FHA 203k contractors in order to be approved. Even then, most lenders will not approve 203k loans where the owner is planning to do the work themselves. When you want to use an FHA 203k to renovate or repair your home, certified 203k contractors are essential. How does an FHA 203k work? FHA 203k loans come in two types: Standard, a loan for large renovations with a minimum project cost of $5,000, and Limited, which has no minimum cost and is intended for more minor improvements. Both Standard and Limited loans can cover purchase, repair, and renovation costs up to the FHA maximum loan amount for your area. In order to apply for an FHA 203k loan, a prospective borrower needs to provide his or her lender with a proposal from a certified FHA 203k contractor. That’s where we come in. As experienced contractors who work with 203k loans, we’ll give your lender a detailed analysis of the work you want and an exact price, helping to ensure your loan process goes as smoothly as possible. Once your loan is approved, all of the costs for your renovations are taken out of your FHA 203k loan and paid directly to your 203k loan contractor at no additional cost to you. Generally, these payments, or “draws,” occur as each part of your project is completed and inspected by a HUD-approved consultant. What are the advantages of an FHA 203k loan? The average age of a home in the US is 50 years old, with many in need of renovations, repairs, or energy efficiency improvements. The FHA 203k loan was created to improve communities, boost the economy, and raise home values by giving new life to old buildings. While traditional loans require a property to be appraised at a certain value before the loan is funded, FHA 203k loans allow home buyers to have their loan application assessed based upon the future property value after renovations have been completed by an FHA 203k contractor. This allows prospective home buyers to qualify for loans on properties that might not otherwise qualify for traditional FHA loans. As a result, you can make a more competitive offer and potentially get a great deal on a home in need of renovations. Once approved, your FHA 203k loan will combine the purchase price and renovation costs into one low-interest, tax-deductible mortgage. After that, your FHA 203k contractor will take care of the rest. What kind of improvements can FHA 203k contractors make? 203k loan contractors can make a wide range of home improvements, from minor cosmetic improvements to constructing entire additional floors. With the exception of luxury items like a spa or a built-in BBQ, any modification which adds value to your property may qualify for a 203k loan. For example, although a 203k loan contractor won’t be able to build you a new pool, we can make repairs to an existing pool! The 203k Standard loan is for large renovations like additions, Accessory Dwelling Units (ADUs), landscaping, and architect/engineer contracting. The 203k Limited loan is for more minor renovations that do not require structural modifications, such as exterior and interior painting, new appliances, roofing, and energy efficiency improvements. Some other examples of qualifying renovations include solar panels, kitchen remodeling, basement finishing, septic system replacement, foundation repair, weatherization, accessibility improvements, lead-based paint abatement, and many more! For more information about the capabilities of our 203k contractors in Portland, give us a call at (503) 896-2233. How do I qualify for an FHA 203k? To qualify for an FHA 203k loan, you must first and foremost be the owner-occupant (or intend to become the owner-occupant) of the home you plan to renovate. Multi-family dwellings up to four units, as well as certain condominiums and mixed-use residences, can qualify for home loans so long as the owner of the building is a permanent occupant of one of the units. In addition to a qualifying property, you must also have a minimum credit score of 620-640 and a maximum debt-to-income ratio of 41-45%, depending upon your lender. The total amount of your mortgage must include the cost of renovations and not exceed the maximum FHA loan value for your county. The maximum loan amount for 203k contractors in Portland, for example, is $475,950. You must submit a detailed plan from your FHA 203k contractor to your lender for their approval based upon the appraisal of your house. Experienced contractors who work with 203k loans are invaluable at this step, as they know exactly what lenders are looking for in an FHA 203k proposal. To learn more about whether you might qualify for an FHA 203k loan, try our FHA 203k Loan Calculator! At RMH Bartels Construction, we are expert contractors who work with 203k loans. With over 15 years of experience, we have served countless customers in need of 203k contractors in Portland and have developed relationships with many local lenders in the process. Although the 203k loan process can seem overwhelming, we will guide you every step of the way and ensure that you have everything you need for a successful proposal and an exceptional end result. All the work that we do as FHA 203k contractors will be paid from your loan, at no additional out-of-pocket cost to you. These payments will occur in draws by the lender from funds set aside in escrow as each stage of the project is completed and inspected. As FHA 203k contractors, we are passionate about providing our customers with superior service and finished results that will improve their homes and lives for years to come. 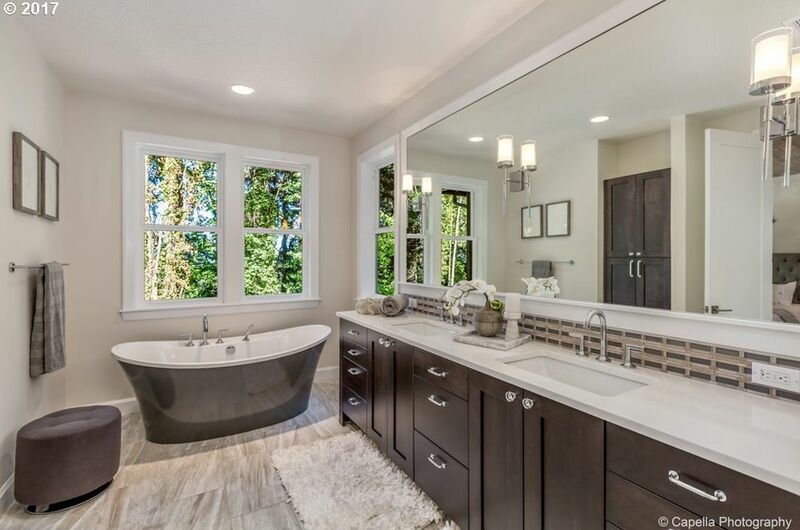 If you think a 203k contractor could help you with home renovations or repairs, talk to us about our expert services at (503) 896-2233.